Gorgeous roundup. 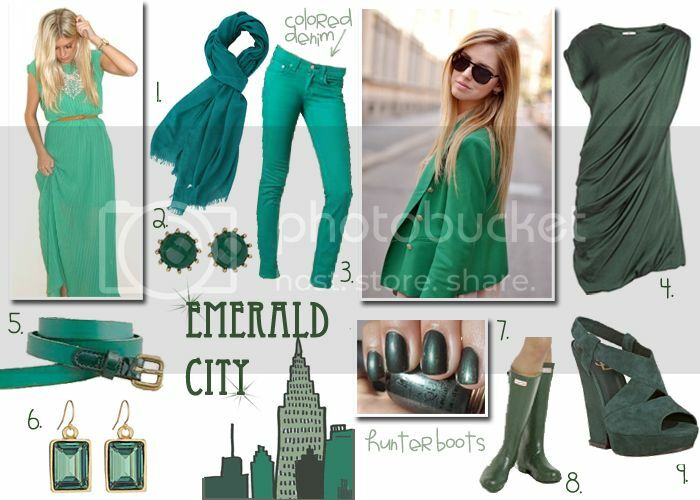 I am obsessed with emerald as well! Love this hue…maybe because it is also my birthstone! One of my favorite roundups I have seen in a while. Love the colored denim, just got myself a blue pair!! Fabulous picks!! Check out my jewelry giveaway!! !